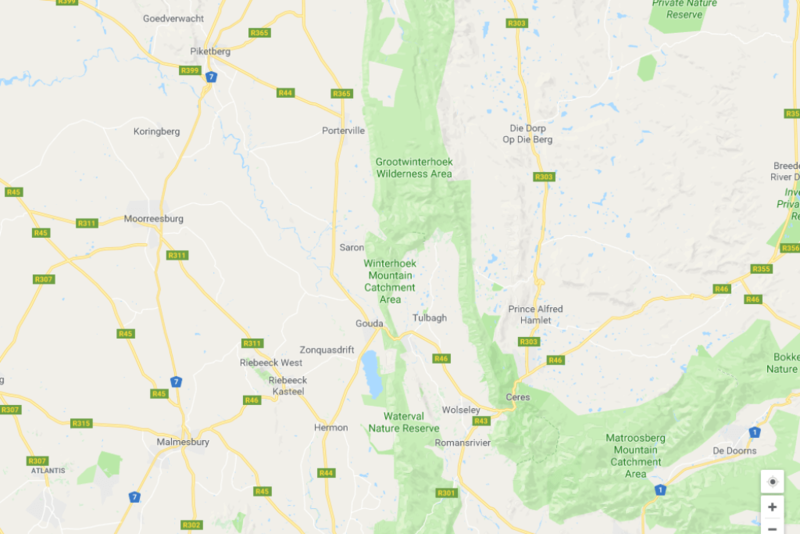 Situated in the scenic countryside of Malmesbury, nearby the Riebeek Valley and Swartland Wine Route, Nuweplaas is the ultimate destination for just about any occasion! 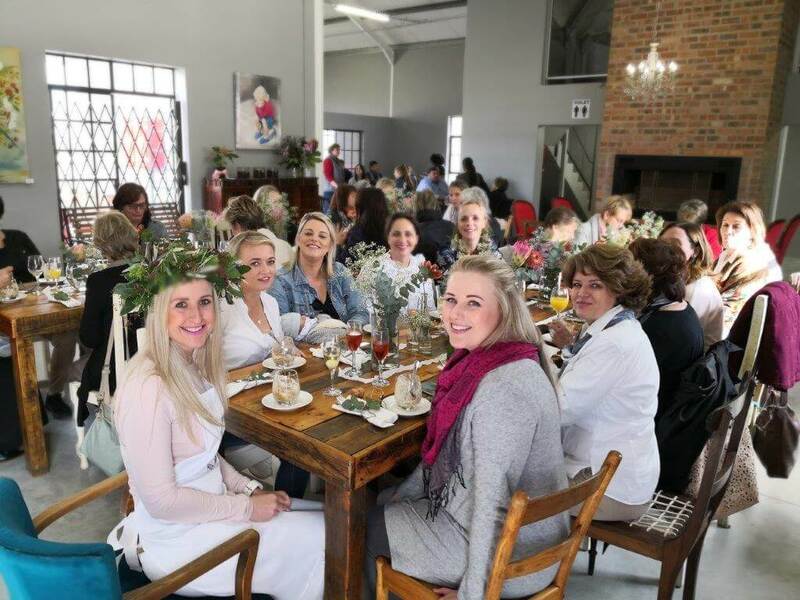 A casual family gathering, children’s parties, kitchen teas, stork parties, birthday parties, high teas and long-tables, is the order of the day at Nuweplaas. 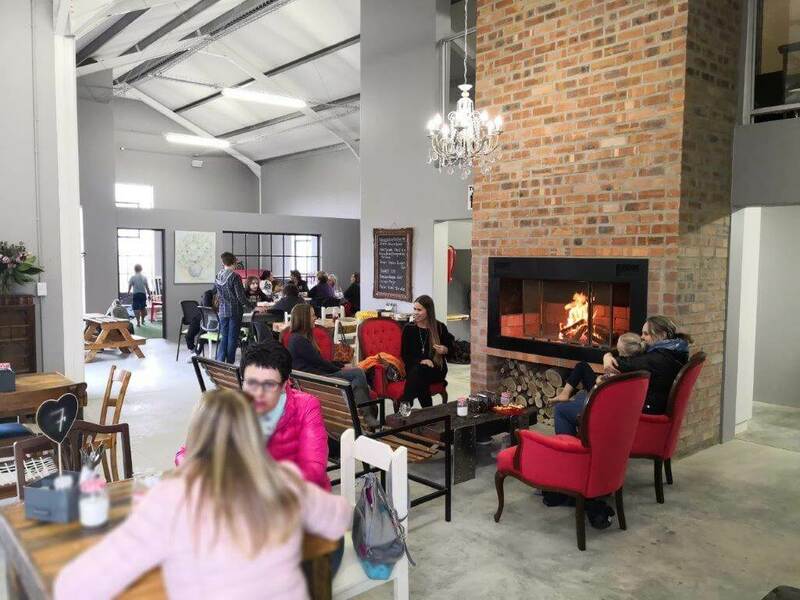 Nuweplaas is a family owned restaurant and function venue, located in Malmesbury, Western Cape. We offer the ultimate venue for just about any occasion including casual family gatherings, kids parties, kitchen teas, stork parties, birthday parties, high-teas and long-tables. Nuweplaas has something for everyone and our aim is to create the ultimate paradise for the whole family. Our restaurant provides the perfect gathering place for the whole family. Meals are freshly prepared in our kitchen and we serve the most delicious comfort food (also referred to as ‘boerekos’, or in English, ‘farm-food’). We also offer a basic, child-friendly menu for the kids, and our dessert menu is packed with a variety of delicious treats. 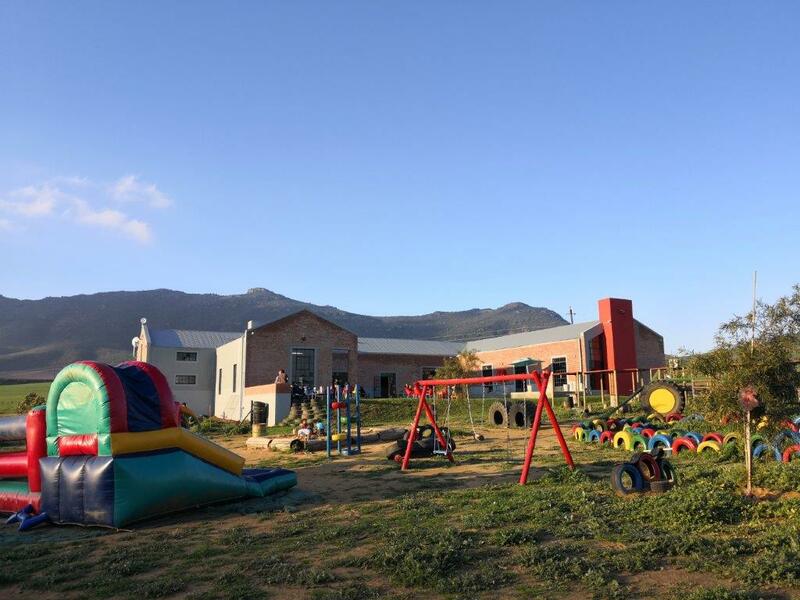 The play area at Nuweplaas, boasts a jungle gym, jumping castle, tractor and trailer rides, and an animal farm that children will fall in love with! 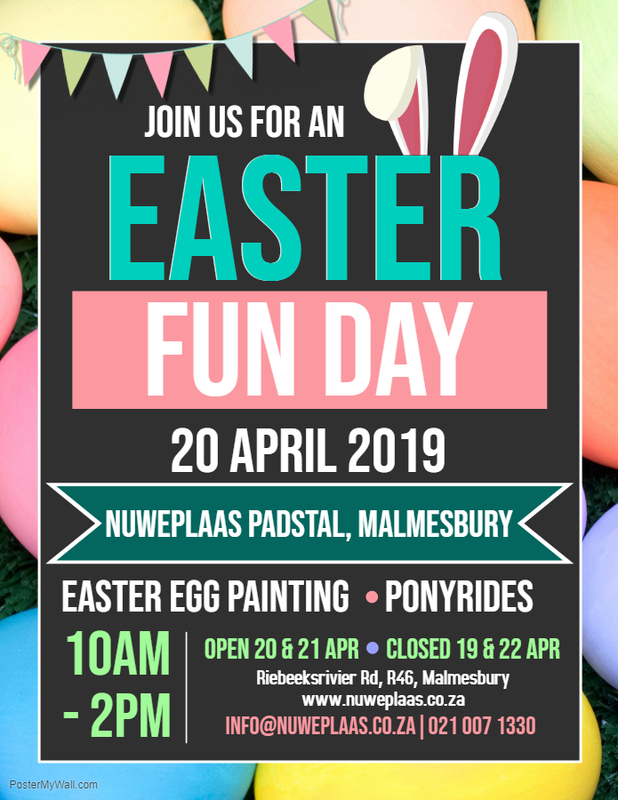 There is plenty of open space for kid’s to run around, and the enclosed and safe environment allows parents the opportunity to sit back, relax and enjoy the peaceful farm environment, that Nuweplaas has to offer. Planning a function? The Nuweplaas team can help you with everything you need to help make your next function a memorable. We cater for kids parties, kitchen teas, stork parties, and much more. We offer ample space for outdoor functions, and the braai area is perfect for casual gatherings with family and friends. 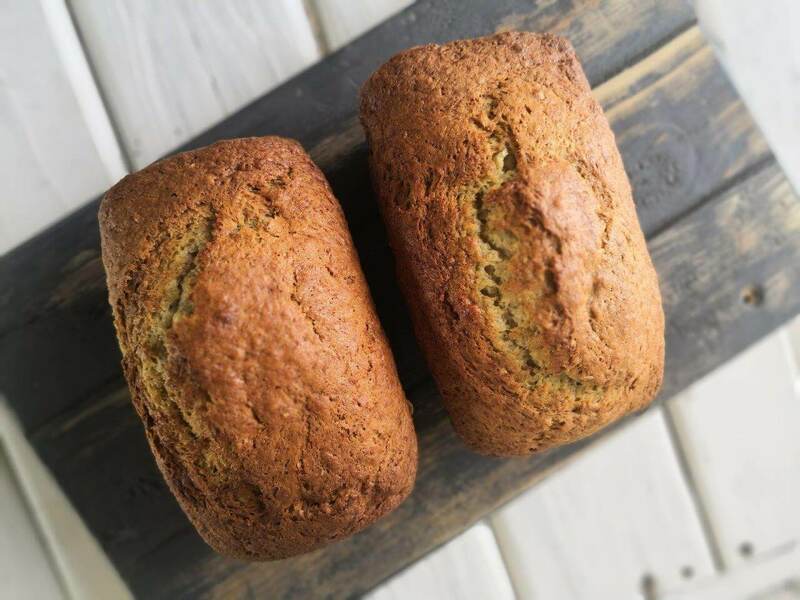 If you and your family are anything like the ‘Lesch’ family, then you will no doubt fall in love with our irresistible and lip smacking treats on offer at our bakery! 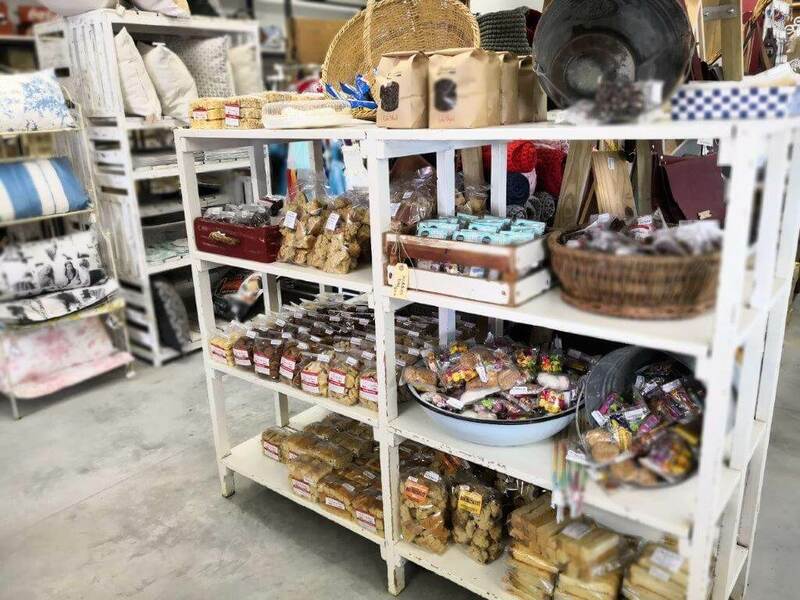 Freshly baked bread, pies, melktert, biscuits and rusks, are just a few of the mouth-watering treats that you can expect to find at the Nuweplaas bakery. Our in-house shop is a treat to browse, and offers a variety of goods that you would expect to find in a farm stall, only better! 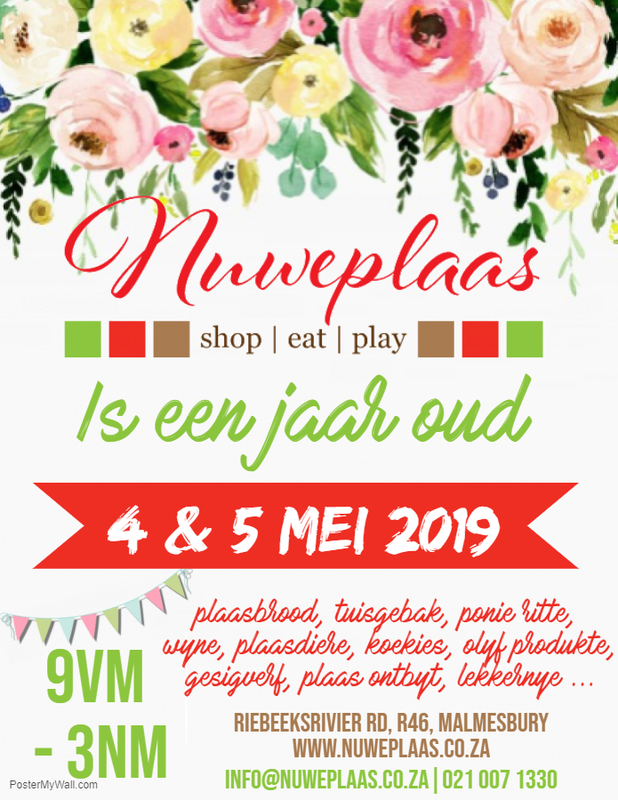 From the traditional, homemade ginger-beer and chunky jams and chutney, to an artistic selection of handmade arts-and-crafts, at Nuweplaas you can be sure to find a special treat for the whole family. On Friday 4 May 2018 we opened our doors for the very first time. For questions, compliments or complaints, please contact us and we will be in touch with you as soon as possible.